The Illinois Legislature enacted the Firearm Concealed Carry Act in 2013 allowing properly licensed individuals the right to carry concealed firearms. 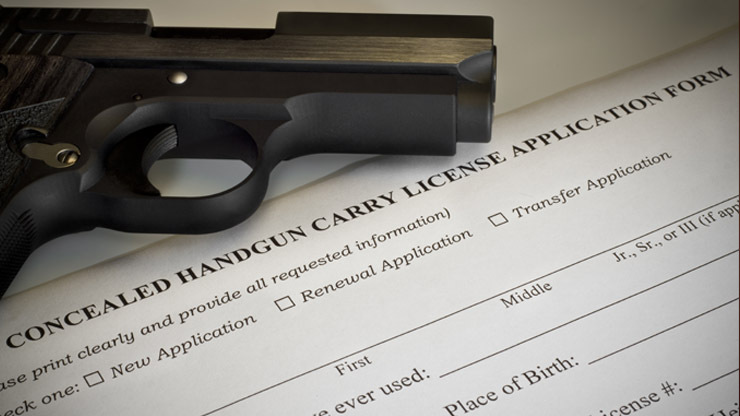 The Concealed Carry License (CCL) is an additional license that essentially follows the Illinois Firearm Owner’s Identification (FOID) Card because one must have the right to possess firearms before they can be given the right to conceal carry. As written within in the Firearm Concealed Carry Act the term “concealed firearm” is defined as “a loaded or unloaded handgun carried on or about a person completely or mostly concealed from view of the public or on or about a person within a vehicle.” 430 ILCS 66/5. The CCL is significantly different than the Illinois FOID card in that it broadens the rights of individuals with relation to possessing and carrying firearms. The passing of the Firearm Concealed Carry Act in Illinois was a major win for advocates of gun rights and many people applied for their CCL as soon as the law was enacted. The CCL itself is only valid for a 5-year time period and as a result, many people are now facing the first round of renewing their CCL. The Illinois State Police will send letters to license holders, informing them when it is time to renew and providing instructions for renewal. Fortunately, the renewal process for the license is not as time consuming as the original application process. Those who currently have a CCL, may recall the many requirements needed to apply, including the completion of at least 16 hours of firearm training. To renew your license, you will need to complete an additional training course in addition to paying the application fee and meeting any other requirements as outlined within the Act. However, the Act only requires an additional 3-hours of firearm training in order to renew a license. Once renewed, the license will again only be valid for a 5-year time period. It is important that you renew your CCL while it is valid so that it remains valid. If you allow your CCL to expire, the ISP may require that you apply for a new license. The Illinois State Police have streamlined the application and renewal process for both FOID and CCL through their online portal at https://www.ispfsb.com/. For more information please visit the website.